As a prosthodontist, a dental specialist in the restoration of teeth, Dr. Kim is very skilled and experienced in the creation of crowns. 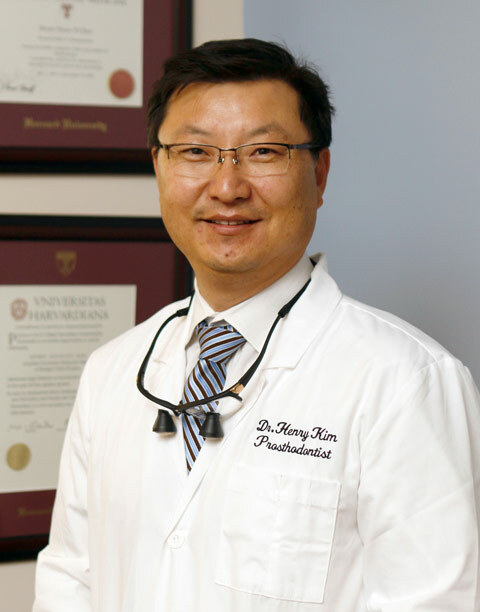 Dr. Kim received his prosthodontic education at Harvard University, and as part of this, he received special training in the fabrication of durable crowns that do not only have optimum function, but are also optimally lifelike and aesthetic. Dr. Kim’s crowns are carefully crafted from the best materials and are molded into their optimum shape by a skilled technician under the doctor’s exact instructions. Instead of using traditional, “goopy” impressions, Dr. Kim uses a digital scanner to take impressions of your teeth. This is not only more comfortable, it also ensures total accuracy, resulting in an accurate crown with an excellent fit. For single crowns, Dr. Kim uses his E4D in-office dental CAD/CAM system to provide the crown in one visit. After taking digital impressions of your teeth, Dr. Kim designs the crown using special 3D software. It is then fabricated on our in-office milling machine while you wait. The whole process takes about an hour, and eliminates the need for temporaries. You will not have to come back for a second appointment. 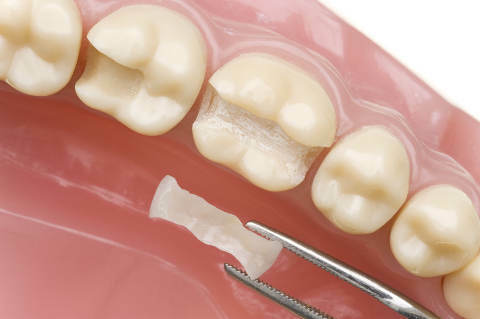 An inlay may be used for a tooth that needs more restoration than a filling can provide. Onlays and inlays are partial crowns. They are used to strengthen teeth that need more repair than a filling can provide, but that do not require a full crown. Onlays cover one or more cusps of a tooth, and inlays cover a large section of the biting surface of the tooth, in between the cusps. Dr. Kim fabricates his onlays and inlays right in our own office using our E4D milling system. This is done in one visit, so you will walk out of our office with your permanent onlay or inlay at the end of your appointment.